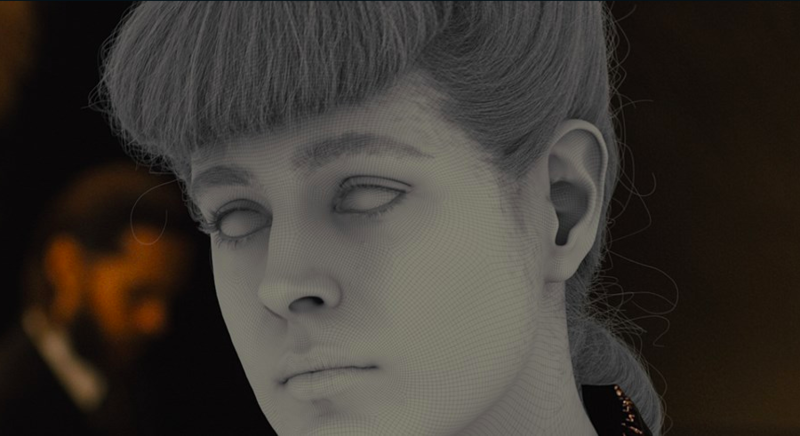 MPC has created a full digital character to recreate Rachel in Blade Runner 2049. With the CG skull accurately recreated, it was lined it up against scenes from the original 1982 movie. The available footage of Rachael wasn’t always ideal, due to the dark and contrasty lighting with a shallow depth of field that regularly put her in soft focus so a great deal of guess work was required. MPC’s 3D modeling artists then spent many hours sculpting the rest of the head over these images until they had created an identical match.